Your input is critical to helping us better understand what you expect from NAIT. What does NAIT mean to you and how can we best serve our alumni? We are listening and are committed to taking action based on the feedback you provide us. We value your input. Thank you for your participation. Please provide the following information and then hit the "next" button to access your survey. Remember, if you cannot complete the entire questionnaire, please hit the “submit” button at the end, so that we can still capture your results. None of the questions are required. This survey should take about 10 minutes. We recommend taking your survey on a desktop computer, laptop computer or tablet. If you take the survey using a mobile device, we recommend turning your mobile devices to the landscape position. Thank you for your time and your participation. 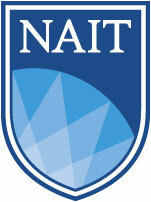 How many diplomas, certificates, degrees, or apprenticeships have you earned from NAIT? After convocation, have you taken continuing education or open studies courses at NAIT? Which area most closely matches your area of study while working on your first diploma, degree, or certificate, or apprenticeship at NAIT? Do you own a business or are you an entrepreneur?